Somebody get Patton Oswalt on the phone, because it looks like his wine-aided peace talks among Hellboys past and present didn’t quite take. The actor-comedian recently appeared to have settled any hash between original Anung Un Rama portrayer Ron Perlman and newly-cast Hellboy David Harbour. 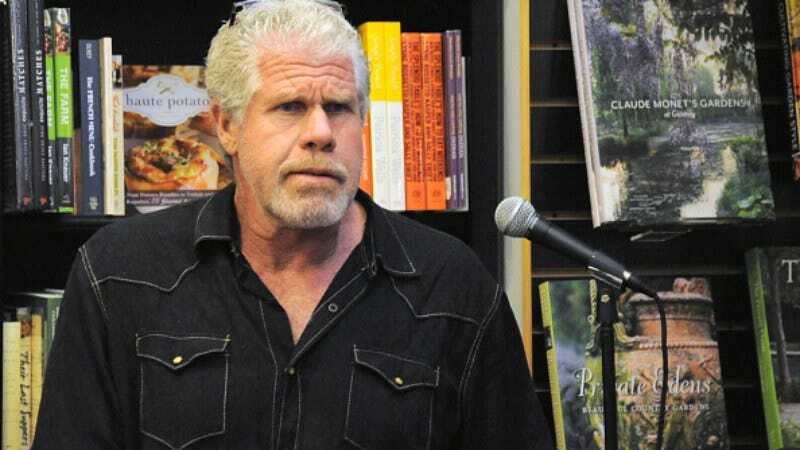 There’s no real bad blood between the actors, but the new direction has taken Perlman aback, given that Millennium wasn’t all that excited by his and director Guillermo Del Toro’s plans for a trilogy capper. Which is presumably why, when asked if he’d pop up in the reboot, Perlman gave a succinct, in-character response. We suppose it’s possible that his tweet was a suggested premise for how he could make his way into Neil Marshall’s film, or maybe even an Ice Capades pitch, but probably not. Perlman does have a huge, mythical beast in his sights, though—he’s teamed up with Thomas Lennon, Michael Shannon, Judy Greer, and Ian McShane for the Bigfoot-hunting comedy Pottersville.